Which song of Invincible album is your favourite? Do u like 2000 WATTS? Do u like BREAK OF DAWN? What's your fav song if Invincible album? "In May 2001, rabbi Shmuley Boteach, Uri Geller and Michael Jackson visited Britain for the official launch of the Heal The Kids Initiative. The journalist JONATHAN MARGOLIS (invited Von Boteach) joined them: his unique Berichten offers an extraordinary insight into the world of Michael Jackson - and he might have witnessed the moment the tortured singer made peace with his father." The call came at 2am. I joined this spot for the specific purpose of drawing attention to a shamefully underrated Era between the years 2000 and 2003, a time which caused me to fall completely in Liebe with Michael all over again. Invincible is known as the "most expensive album in history", as only production in Jackson spent about $ 30 million. Sony boycotted the album withdrawing it from stores after three months of release. Still Invincible sold about 12 million copies worldwide, something difficult even for artists who were at the peak season. 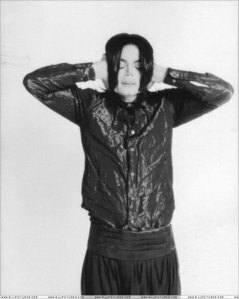 During the rapid release of the album were explicit differences between Michael and the then head of Sony Music, Tommy Mottola. The problems began in 2000 when Jackson tried to withdraw the license from the original recordings from the catalog of his record company to release independent. So Michael would not have to teilt, split the profits with Sony. However, Jackson's lawyers have found clauses in his contract with the label that prevented the transaction. In 2001, Michael would complete 30 years of solo career. To celebrate the Tag were pressed special editions of albums Off The Wall, Thriller, Bad and Dangerous - all remastered with new liner notes, including rare and unreleased songs, and also interviews with producer Quincy Jones and songwriter Rod Temperton. In addition to two commemorative concerts held at Madison Square Garden in September 2001 with participation of various artists such as Britney Spears, Whitney Houston, Slash, Usher, Luther Vandross, Destiny's Child among others. Facebook Fan page dedicated to your Favorit era. A tumblr dedicated to our Favorit era! Which song is the first track on the Invincible album?